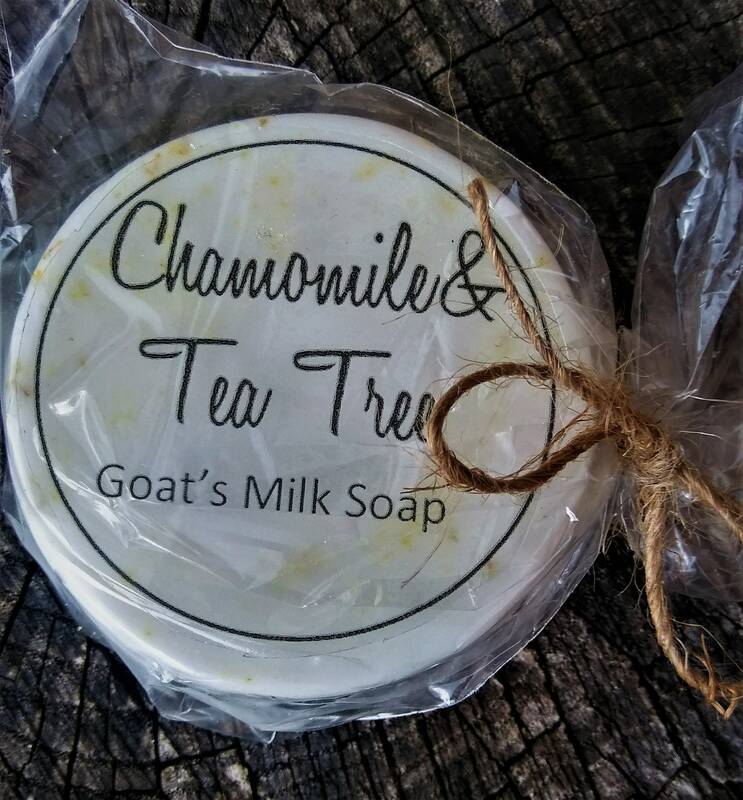 This Chamomile Goat's Milk Soap is lightly scented with Tea Tree Essential Oil and is great for the skin. 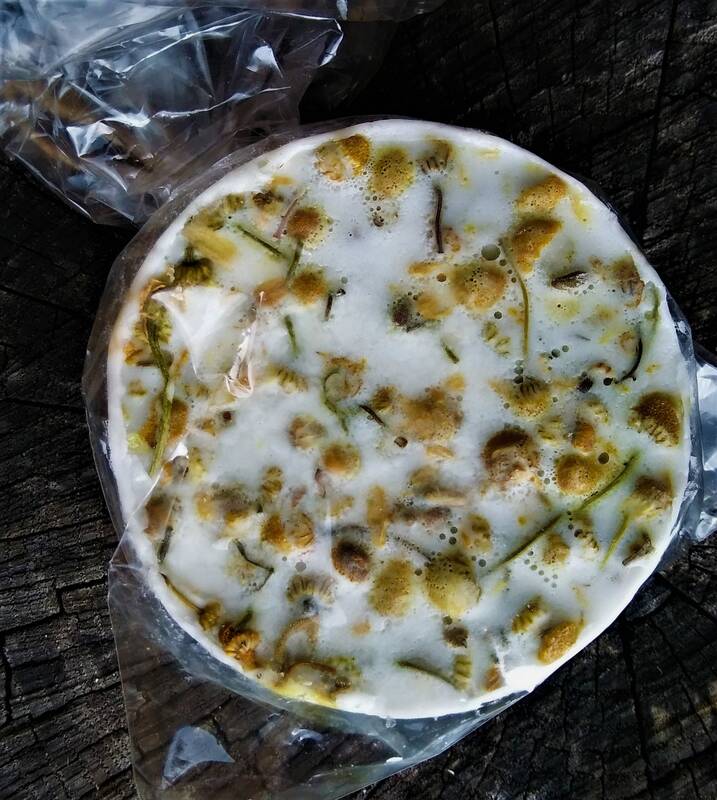 The dried chamomile is great to help you to relax before bed. It is available in a set of 3.